DOG FRIENDLY FULLY FENCED YARD! 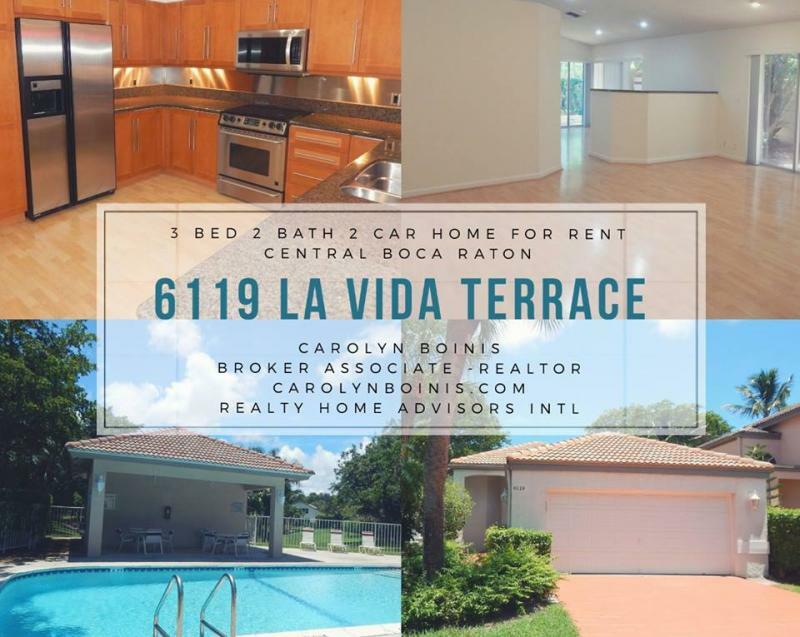 Get a fresh start in this clean well organized single level home with 2 car garage directly across the street from community pool in lovely neighborhood of La Vida Boca Raton. FULLY Fenced YARD JUST ADDED for FIDO! Bright and fabulously well lit inside. Modernly updated open granite and wood eat in kitchen with long breakfast snack bar flows easily into tv area. No carpet. Built in Closets, Built in Granite desk for homework or home office. Ensuite Master Bedroom has walk in built in closet and private Bath with Skylight and bubble bath shower-tub combo. 2nd Bath updated. Minutes to Beautiful Boca Raton Beaches and Sugar Sand Park. Plenty of nearby restaurants or Dine Al Fresco on your own charming private stone inlayed patio.